God of violence or God of love? 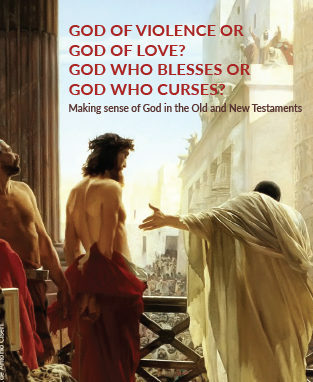 God who blesses or God who curses? In this DVD Dr Rod Thompson discusses some of the most pressing issues with which we are faced. This DVD is a must-have Bible study resource for use by churches, ministries and small groups. Dr Rod Thompson discusses some of the most pressing issues with which we are faced: how can we read the Bible well? Is the God of the Old Testament the same as the God of the New Testament? Do curses still impact the lives of Christians? Do we have a message of peace for the world? Is God violent? What about judgement at the end of our lives?